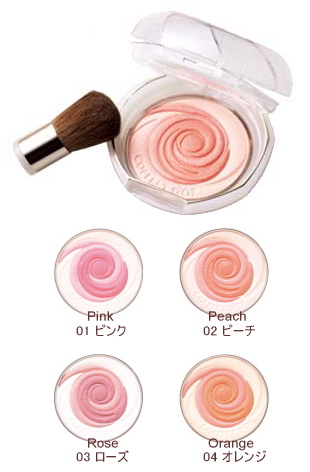 “Smile Up cheek” blusher by kanebo clinched the @cosme Grand prix award for the first half of Year 2012. Favored by a large number of users, it earned high ratings of 5.1 (7 for full) calculated from 1221 reviews up to this date. “Smile Up cheek” blusher contains set of 2 cheek colors and a highlighter. Its very soft and blends in well with the skin and application is simple too. Apply circular strokes around the cheek to create a very natural, flush radiant look. And that’s it. The skin looks natural and beautiful. 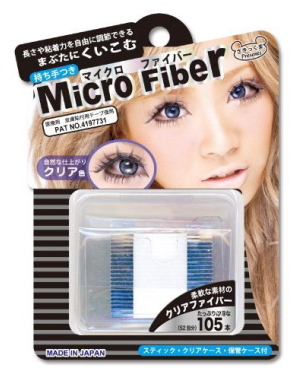 Micro fiber tape is a eyelid maker which was released recently, but wins popularity in Japan. Adhesion of tape is strong and lasting. Its pliable and length can be adjusted easily. And the most important, you don’t need to be an expert to create a double eyelid! 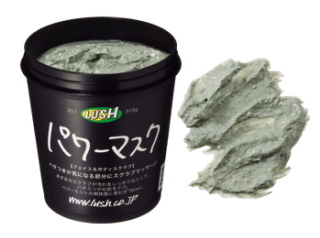 Lush’s power mask enjoys great popularity here, in Japan. Maybe the name “power mask” doesn’t rings a bell for most people. “Mask of Magnaminty” is the name that it is known as in the UK and US. This mask contains ingredients of adzuki, honey that makes it an ideal mask for pores and keratin care.The mask is not only cooling and fresh, but also, the minty fresh scent gives a very soothing feel. Adzuki exfoliates and unclogged the pores without being harsh on the skin, leaving the skin smooth, supple and brightened. Besides face, you can use it at the back, elbow, or even on the heel. How to get beautiful skin within 3 minutes with lotion pack. Lotion pack, a pack process to moisturize the face using toner (lotion) and cottons is believed to work wonders for the skin and is very popular in Japan. Does this ring a bell as to why Japanese women has beautiful skin? [Step 1] — Split the cotton into 5 pieces. Wet the cotton with water. Pour appropriate amount of toner into the cotton and mix well. Firstly, split the cotton into 2 pieces. Secondly, split the cotton of above no.3 into 3 pieces (pick the thicker one). Thirdly, split the remaining piece at no.3 into 2 pieces (in total, you have 5 pieces). 1st piece- Stretch horizontally laying across the face, from the jaw to under eyes. *Leave a breathing space on the nose and mouth. 2nd piece- Stretch horizontally, lay it across the eyes to forehead, leaving openings for the eyes. 3rd piece & 4th pieces- Lay vertically from the eyes, overlapping the previous laid cottons. 5th piece- Stretch the cotton from the jaw to the neck. After everything is finished, press lightly with the palm to “adhere” the cotton to the face. Leave it on for 3 minutes. From forehead right up to the eyes, fold the cotton and press lightly. Do the same in order of the nose, mouth, right till the jaw. Next, fold the cotton into 2 at the jaw and pad the face with the cotton to blend in the toner. Lastly, use the palm to press lightly for deep absorption. 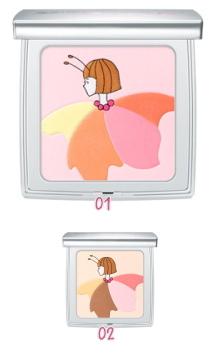 Popular cosmetic brand RMK, came up with special edition cheek palatte, to celebrate their 15th anniversary. The design is created with the image of a little fairy dressed in petal. Looks cute? Does it capture your heart? It could make a fabulous gift too. A 6 colors set that has its color balancing considered and it is limited edition. Just mix the colors with a blush to give a natural clear coloring and add a touch of glossiness to the skin. 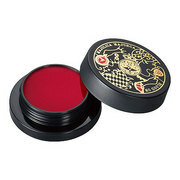 This limited edition (limited stock) dual purpose makeup for the cheek and lip is a new release. Application on the lip adds a faint shade of red to it and the result is natural. The trick to achieve a florid complexion or enhance the coloring is to use it as a base, prior to the application of cheek makeup or lip gloss. Reviews are good, with many saying that the result was very natural although they were surprised by the “blood-color like” when they first opened up the cover. To add-on, some users even use for their eye makeups. In all, this is a really convenient multiple usage color enhancement makeup. makeup stays fresh even after sometime. These data showing the skin type and age groups of the 2300 over users who use Evangelist BB cream was picked up from the same site. According to the data, combination skin which is the most difficult to take care of and users in age group early 30s tops the majority. Hope this information do serve as a useful reference to you. The award pickups continues. 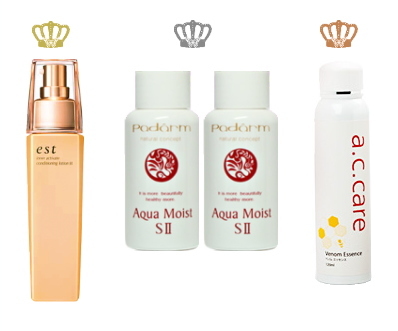 My picks this time will be the Best 3 moisturizers award (skincare category) for Year 2011, as selected by @cosme. The awards went to the next 3 items. In addition, the skin type of users who use these products are being consolidated. Please refer to the graphs. Hope that these information will help you better in your choice of moisturizers. Continuation on the pickups of the Top 3 toners (skincare category) for Year 2011, selected by @cosme. The awards went to the following 3 items. In addition, the skin type of users who use these products are being consolidated (refer to be graphs). Hope these information helps.